Jailhouse Hostel Christchurch - Independent Review! It’s not often you find yourself in jail a mere hour after arriving in a new country, but that’s exactly what happened to us when we landed in Christchurch! It’s not what you’re thinking, we’d decided to book into the Jailhouse Hostel Christchurch for a night before our month in a campervan! Turned out to be a good decision! The Jailhouse Christchurch hostel accommodation was built in 1874 and used as jail, women’s prison and military camp until it closed in 1999. You can also walk into the centre from here, perhaps visit the cool Re:Start mall. We loved spending a night there and would recommend it to anyone staying in Christchurch! Arriving at the hostel is a great experience, with the welcome area and general spaces feeling much more open than you might expect. If you’re into straight lines and white walls, this place is your idea of heaven! 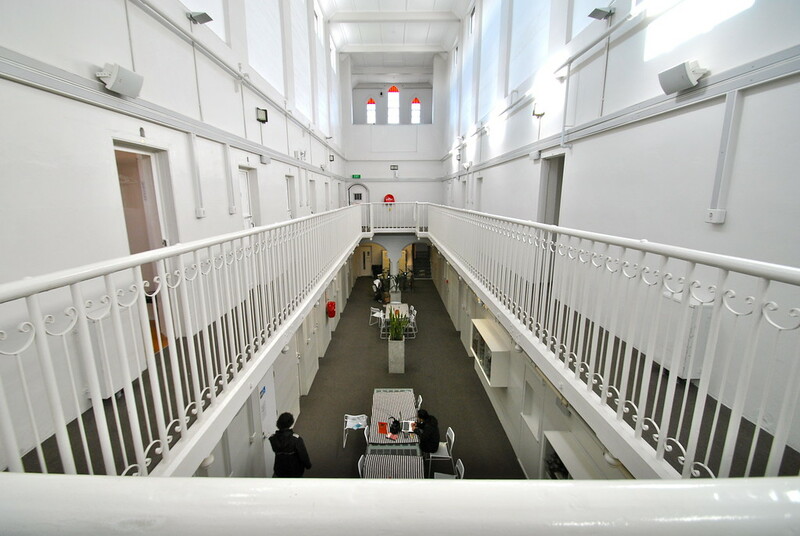 Moving upstairs, there are many rooms and also places to sit and chat in some beautiful spaces in the Jailhouse Hostel Christchurch. The bedroom was…basic. No ensuite options here, just a bed and four walls! Still what did you expect from a jail? We had enough room for our bags and clothes, and enjoyed our experience of sleeping in a cell. Either way you look at it, it was better than the previous inmates! 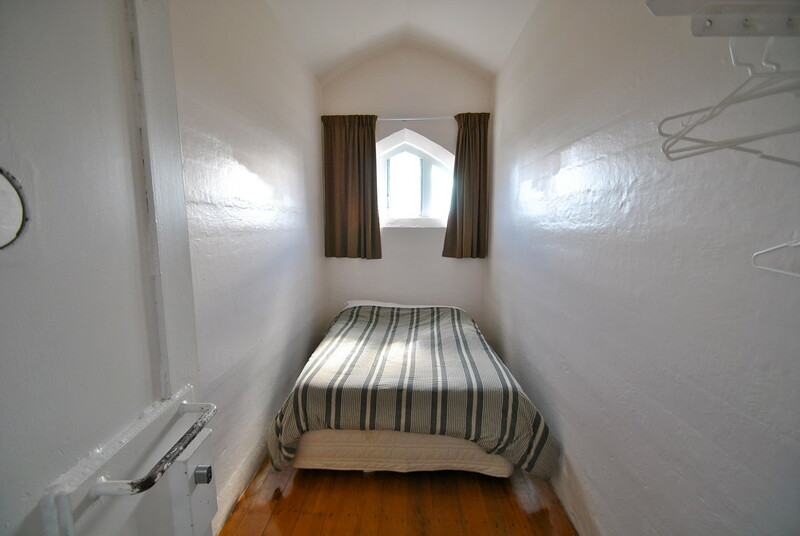 If you need a base in Christchurch for a few days, and want something unique with character, you should really check our the Jailhouse Hostel Christchurch! It’s a great place to stay, and it’s great story to tell your friends…’Did I ever tell you about my time in jail in New Zealand?”. That’ll get them talking! Looking For Accommodation In Christchurch? If you’re looking for some accommodation options in Christchurch or elsewhere in New Zealand, we recommend you check out Agoda. 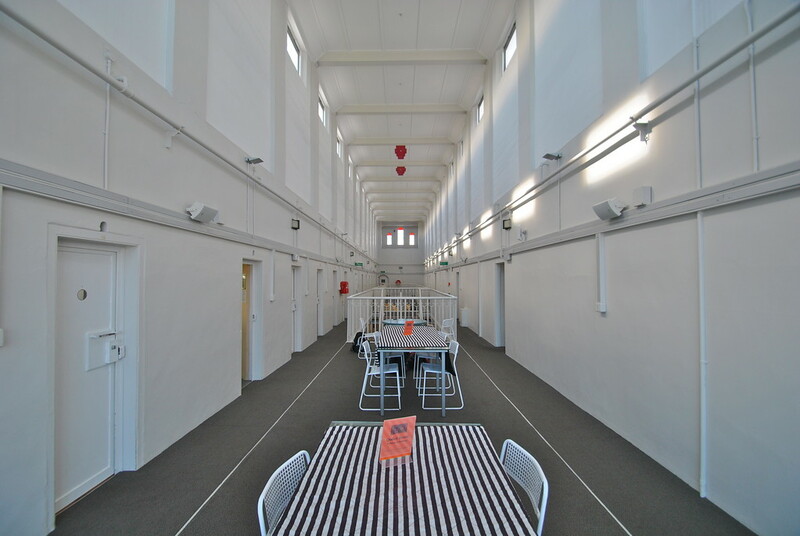 Check if the Jailhouse Hostel Christchurch is available on your dates here.